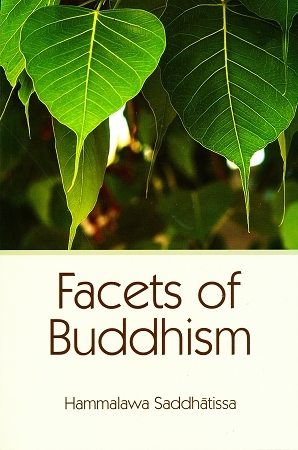 This book is a collection of essays by Venerable Hammalawa Saddhatissa. Because of the author's sympathy with European ways of thinking, these essays are particularly helpful to those not brought up in a Buddhist culture and tradition. These essays cover a range of topics such as ethics, metaphysics, kamma, rebirth, meditation, history and nibbana. While some of the essays are of an introductory nature, others are more advanced. Venerable Hammalawa Saddhatissa (1914-1990) was a Sri Lankan scholar monk who is mainly known for his book "Buddhist Ethics" and his translation of the Sutta Nipata. The last thirty years of his life he lived in the West, mainly in London. He held various academic positions at universities, and was the abbot of the London Buddhist Vihara.